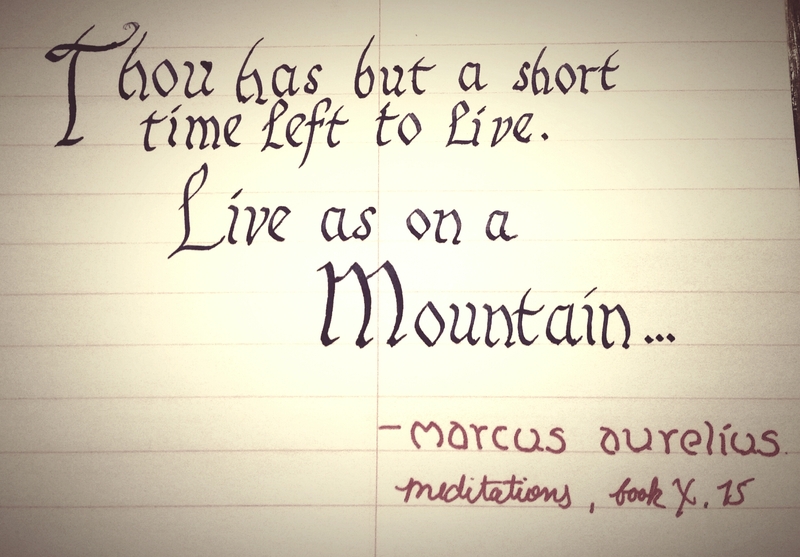 ​I’ve been trying my hand at calligraphy (pun intended), and also taking the time to focus and work with the Stoic texts. It provides a nice, focused time for reflection. Now, I expect a fully illuminated copy of the Meditations on my desk this Friday. Beautiful quote. Love the World-City concept. Your handwriting is solid too.